Magna Carta Travel is an independent travel agency, which since opening in 1973 by Szozda's Family, after more then 40 years on the market, now is under new management . The Agency is a member of My Travel Group, Helloworld and it is recognised by International Air Transport Assosiation- IATA. Whilst we may specialise in travel throughout Central Europe, our skills don’t stop there. 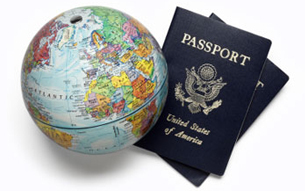 We carry a wealth of expertise in planning and arranging global journeys. From regular flights, to complicated multiple destination itineraries, from beach resort getaways, to the adventurous trekking of the Inca trails. We can design and tailor make itineraries to suit your requirements and budget, having excellent relationships with our industry partners and wholesalers to ensure you get the best deal! By coming to Magna Carta, you are choosing great and friendly service, industry knowledge and professionalism, which is your assurance for a well planned and hassle free trip.